Philadelphia City Councilman Kenyatta Johnson is right at home in his new TV ad to be released Friday. Johnson is seeking a second term representing the 2nd Councilmanic District, which covers South and Southwest Philadelphia and reaches up to Rittenhouse Square in Center City. The 30-second spot opens with a shot of Johnson, his wife Dawn Chavous (who is chief of staff for state Sen. Tony Williams), and their 6-month-old son, Isaiah, in their Point Breeze home. 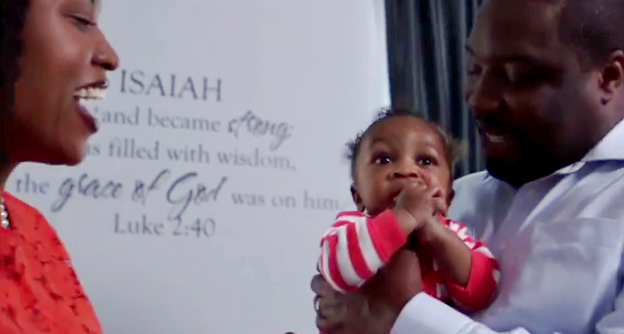 The ad features Johnson interacting with Isaiah — laying him down on a changing table, bouncing him on his lap with a picture book and playing with him on the floor. It ends with the words “from here, for here” — a potent message in a race clouded by tensions over redevelopment in a quickly changing city. 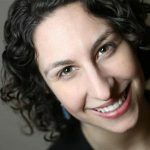 Johnson is fending off a challenge from real estate developer Ori Feibush, who also lives and works in Point Breeze. Campaign spokesman Mark Nevins would not divulge how much TV time it bought, but said the ad would run on cable and broadcast stations in Philadelphia. Nevins said the ad was not geared toward a specific demographic in the 2nd District. Feibush’s campaign did not return a call seeking comment about his media strategy.